Home/Posts/What’s new in VMware vRealize Operations 7.0? 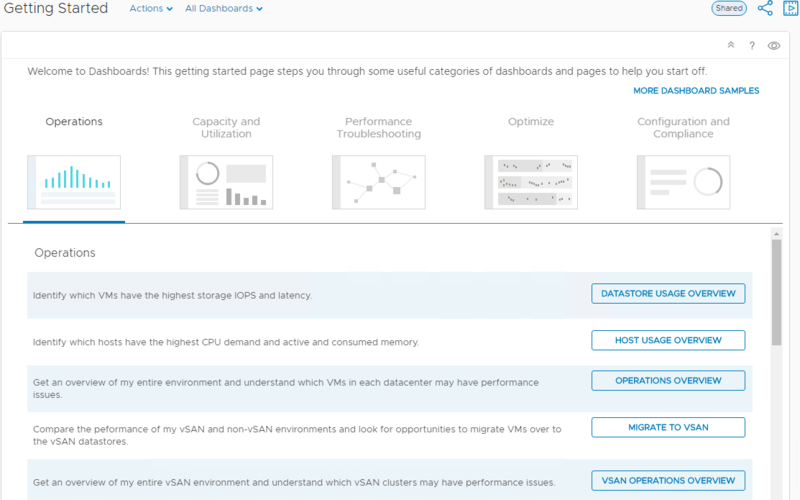 What’s new in VMware vRealize Operations 7.0? Those who are familiar with VMware vSphere administration and monitoring are no doubt familiar with the vRealize Operations Manager platform that has been around for a while. The vRealize Operations platform has certainly morphed and evolved over the years into an extremely powerful and full-featured product that is capable of tremendous functionality when it comes to monitoring, managing, right-sizing, and keeping an eye on the overall performance and health of VMware vSphere environments. During VMworld 2018 in Las Vegas, VMware announced the release of the vRealize Suite 2018 that contains all the updated versions of products in the vRealize suite of solutions. This includes vRealize Operations 7.0, vRealize Automation 7.5, vRealize Suite Lifecycle Manager 2.0, vRealize Business for Cloud 7.5, and vRealize Log Insight 4.7. Let’s key in more closely on what’s new in VMware vRealize Operations 7.0 and how the new features allow organizations today to better monitor, manage, and configure vSphere environments based on intent, as well as integrate with cloud solutions. Before focusing in on VMware vRealize Operations 7.0, let’s take a step back to see the overall picture of the business problem that VMware’s vRealize Suite 2018 is attempting to solve and how the solution offers the tools needed for today’s complex hybrid environments. VMware has certainly noted the complex needs of today’s businesses. Most organizations today have made the move to the cloud. Many businesses are operating in complex hybrid cloud environments and possibly have virtual infrastructure spread across on-premises and cloud environments. Also, many are starting to utilize VMware Cloud on AWS for replication, disaster recovery, and also for production. With the vRealize Suite 2018, VMware has set out to empower organizations with the tools needed to be able to satisfy the demands of the developers, DevOps, SRE requirements and other pressing business needs. There are three high-level areas where vRealize Suite 2018 intends to help solve these pressing demands on IT administrators managing these complex virtual environments and hybrid solutions. 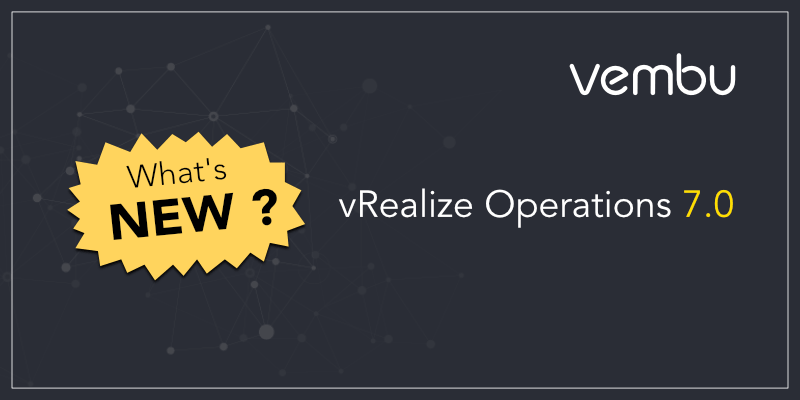 Let’s take a closer look at each of the new features and enhancements and see how the new features and functionality greatly extends vRealize Operations capabilities for enterprise environments today. VMware has done a great job of late in getting all the UI interfaces for VMware solutions rewritten from the Flash/Flex interfaces that have been long utilized in the various solutions to the new HTML 5 UI variant. VMware vRealize Operations 6.6 introduced the HTML 5 interface for the UI experience. However, with vRealize Operations 7.0, VMware has enhanced the HTML 5 interface even further. The new “Clarity” themed HTML 5 interface looks beautiful in the vROPs interface. Additionally, VMware has not simply ported the Flex client over to HTML 5. They have looked at the workflows themselves and completely rewritten most of the product UIs for HTML 5. VMware has introduced the “intent-based” metric for performance optimization. This was new with vRealize Operations 6.7. This has been enhanced even further with vRealize Operations 7.0. There is a new Automate button that allows vRealize Operations to search through the vSphere environment and look for ways to optimize the environment based on the intent-based metrics. Ad hoc optimization can still be manually performed by administrators or even scheduled as needed. The VMware Distributed Resource Scheduler or DRS mechanism on vSphere clusters has traditionally looked at contention in the vSphere cluster environment to make decisions on how to place workloads. Now, vRealize Operations 7.0 is able to integrate into vSphere with DRS and allows making DRS decisions based on business intent. This can be used not only in making the decision of balancing vSphere clusters but also in which host in a cluster the workload will be placed. This can be used for many potential use cases. These could include license separation, compliance, tiering, and other custom applications. VMware listed certain use cases such as separating Windows guests vs Linux guests in a cluster or for tag separation. This really relates to VMware’s much-improved machine learning in vRealize Operations 7.0. The capacity engine has been drastically improved in 7.0 providing real-time predictive analytics, improved capacity accuracy, self-learning, and integrated costing with capacity. New features for vRealize Operations 7.0 include the new exponential decay to help with giving context and relevance to pattern changes and spikes in data. Calendar-aware periodicity allows detecting the nth day of the month, etc. VMware vRealize Operations 7.0 provides new “What-If Analysis” that allows intelligence in making the decision to procure hardware or migrate workloads to the cloud. The new scenarios included in the What-If planning allows workload planning that determines the best fit for new virtual machines. Physical Infrastructure Planning allows model hardware purchases with CapEx visibility. Migration Planning allows planning migrations from on-premises to the cloud via VMware Cloud on AWS or AWS natively. There is an all new and greatly simplified dashboard creation canvas that allows a much-improved overall experience in creating custom dashboards in the vRealize Operations environment. The sharing and embedding functionality of dashboards using smart links without having to login or use any other special measures. 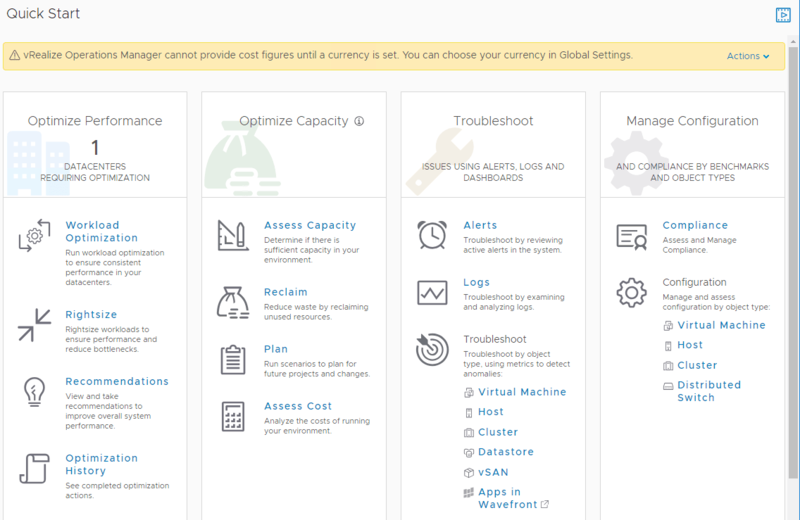 The vRealize Operations AWS Management Pack allows managing AWS inventory across regions and accounts. There are many services that are included in the management pack including EC2, EBS, RDS, Lambda, LB, Redshift, etc. 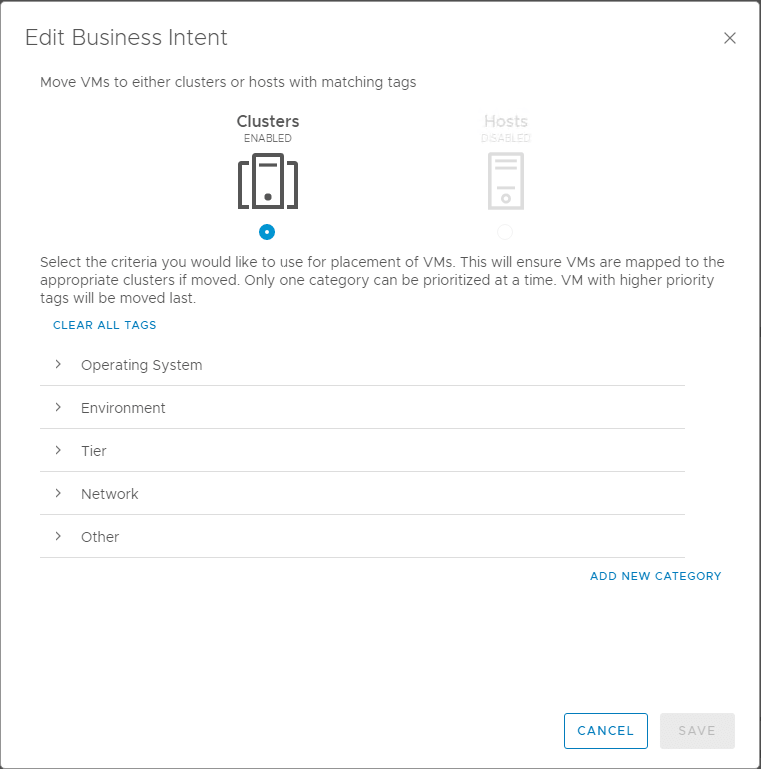 VMware vRealize Operations 7.0 represents a significant leap forward for managing, optimizing, and monitoring VMware vSphere environments using the new machine learning enabled metrics that can allow aligning with business intent. Businesses today are looking for ways to align their technology and infrastructure according to the real needs of the business whether it be compliance, cost, or other demands. VMware vRealize Operations 7.0 allows businesses to effectively do that in an automated fashion. Additionally, the new vRealize Operations 7.0 allows organizations to efficiently, and intelligently make use of cloud and hybrid cloud configurations, mixing on-premises and cloud environment resources together and managing/monitoring them with a single pane of glass solution. VMware vRealize Operations 7.0 is a great advancement in the vRealize Suite of products that allows administrators to meet the demands of today’s often very complex technical and business requirements.